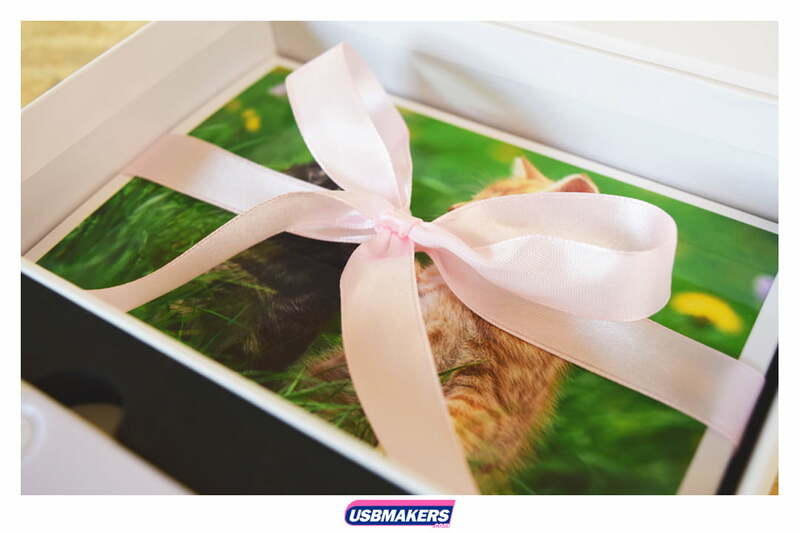 The latest offering in our USB packaging range is this stylish magnetic USB Photo gift box manufactured to the very highest standard. 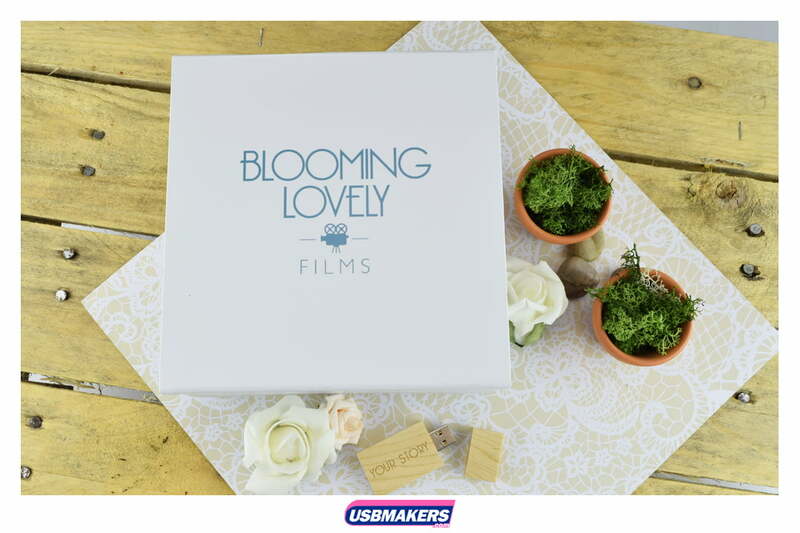 This durable white box made of stiff art-board is the perfect holder of precious moments while remaining elegant and timeless. 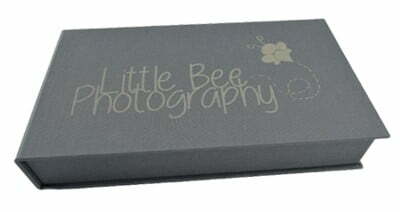 The magnetic lid keeps the contents safe and secure while adding a contemporary look to the end product. 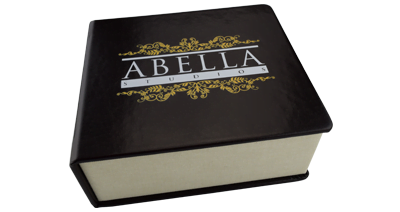 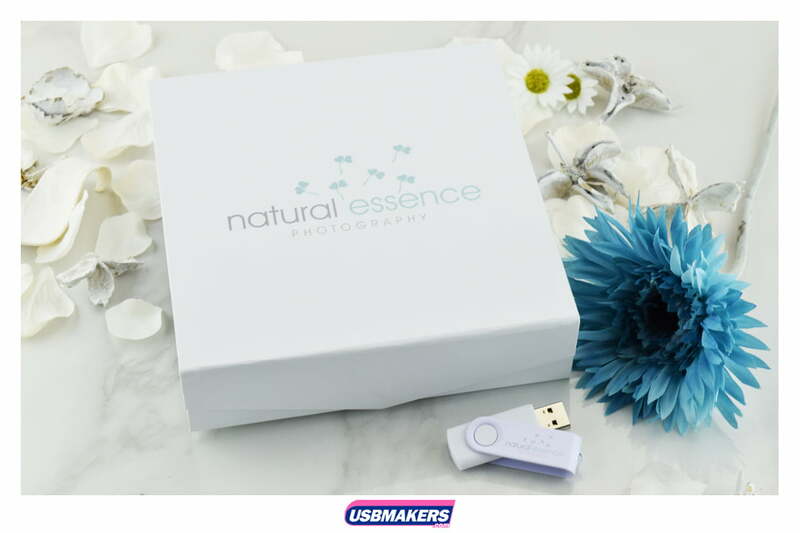 The top of the USB box can also be customised with your logo or text, either in a single spot colour or with full colour printing. 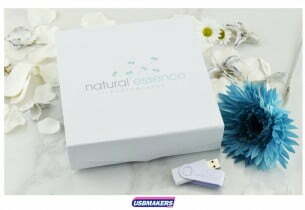 Inside the box is a die-cut hard foam insert which holds your choice of branded USB style, whether a versatile Twister, a classic Wooden Block or a chic Hermes. 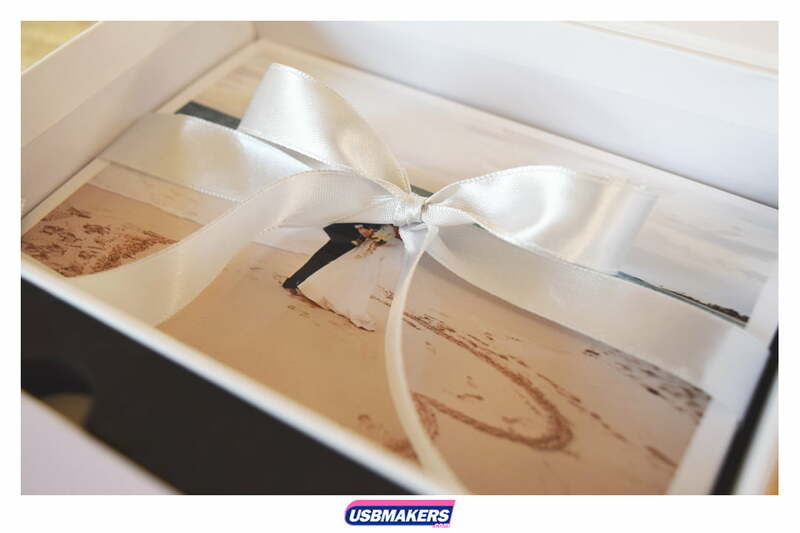 The box can also hold up to 120 6” x 4” photographs tied with a stylish and practical blue ribbon: the ribbon is secured to the base of the box and offset so that the photographs can be easily lifted out. 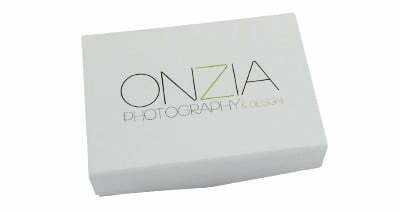 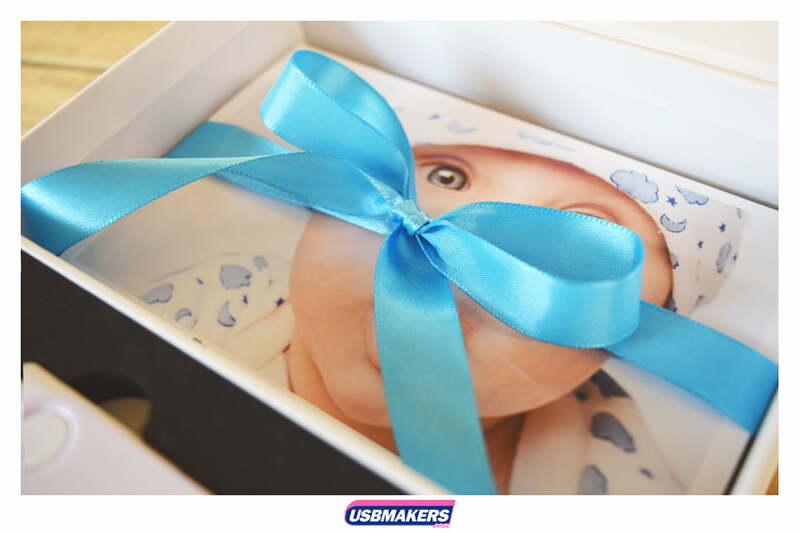 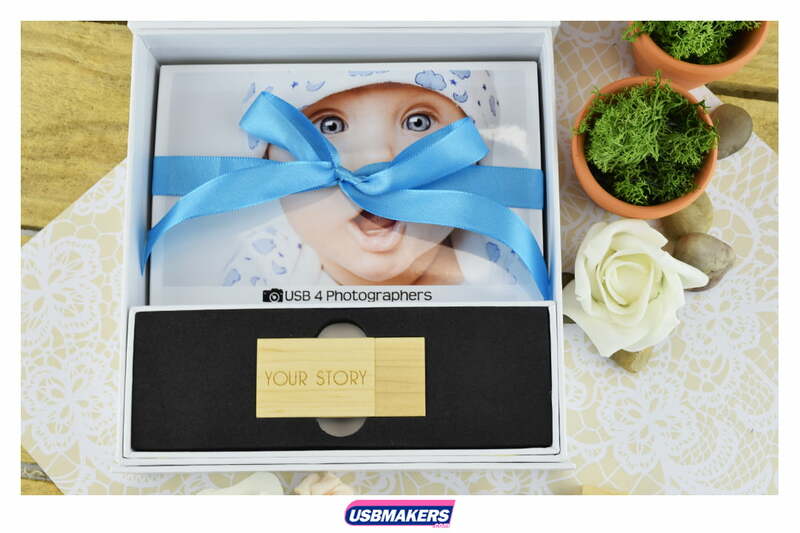 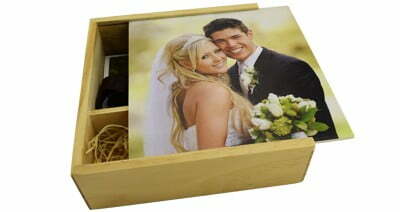 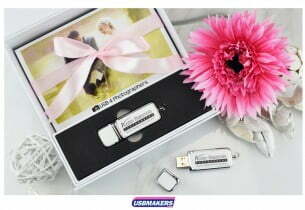 Perfect for safekeeping photographs from a special event, wedding or of a newborn, this eye-catching USB presentation box will create a lasting impression on new and existing clients.